Air plants, Tillandsia, Tillys- all names for fabulous plants from the Bromeliad family. They do not require soil to grow and can be grown in creative ways on a variety of mediums that will look great in your home or garden. All you need is light, air and water. This enables you to use them creatively mounting and hanging them in your home or garden or make fabulous gifts. Tillandsias are special plants because their roots are only used to anchor the plant, they do not absorb any water or nutrients through the roots, all absorption is through the leaves. This enables you to use them creatively mounting and hanging them in your home or garden or make fabulous gifts. They are simple to send throughout the country by courier delivery with no damage to the plant. Air plants, Tillandsia, Tillys- all names for fabulous plants from the Bromeliad family. They do not require soil to grow and can be grown in creative ways on a variety of mediums that will look great in your home or garden. All you need is light, air and water. This enables you to use them creatively mounting and hanging them in your home or garden or make fabulous gifts. Vist our gift range and send a special gift this festive period direct to your loved one's door- we will even wrap it for you. Tillandsias are special plants because their roots are only used to anchor the plant, they do not absorb any water or nutrients through the roots, all absorption is through the leaves. This enables you to use them creatively mounting and hanging them in your home or garden or make fabulous gifts. They are simple to send throughout the country by courier delivery with no damage to the plant. This means that they can be positioned anywhere as long as they have sufficient light, water, air and to a lesser extent nutrients. 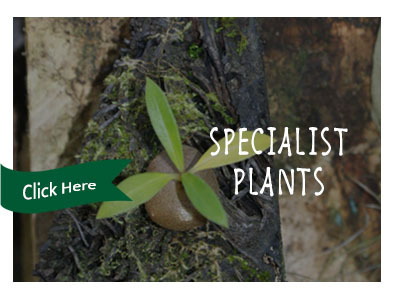 We have a large range of plants that will suit a variety of conditions so there is an air plant for everyone and every place in your home or garden. 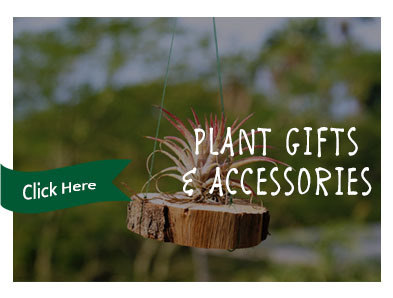 Choose a tillandsia on its own or browse our range of air plant gifts in creative settings. They make a special gift for gardeners or someone who wants an unusual and modern addition to their home décor. 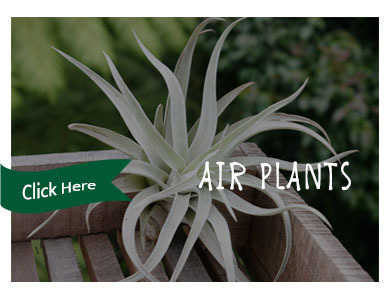 Rare and Air Plants and Gifts can guide you through your choice of Tillandsia or Air Plant. We deliver throughout South Africa door to door. 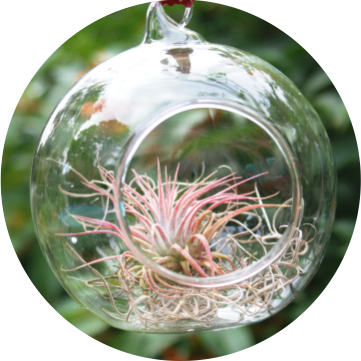 This makes Air Plants a great gift for that tricky to buy for loved one. A gift that will grow and continue to provide pleasure. We will also provide care tips so the recipient knows how to look after their plant gift. Rare and Air also provide special rare plants for collectors such as Myrmecodia, ant plants and shingle plants as well as specimen Tillandsias and hybrids. Join our mailing list to get updates on our rare and unusual plants and limited quantity Tillandsias. 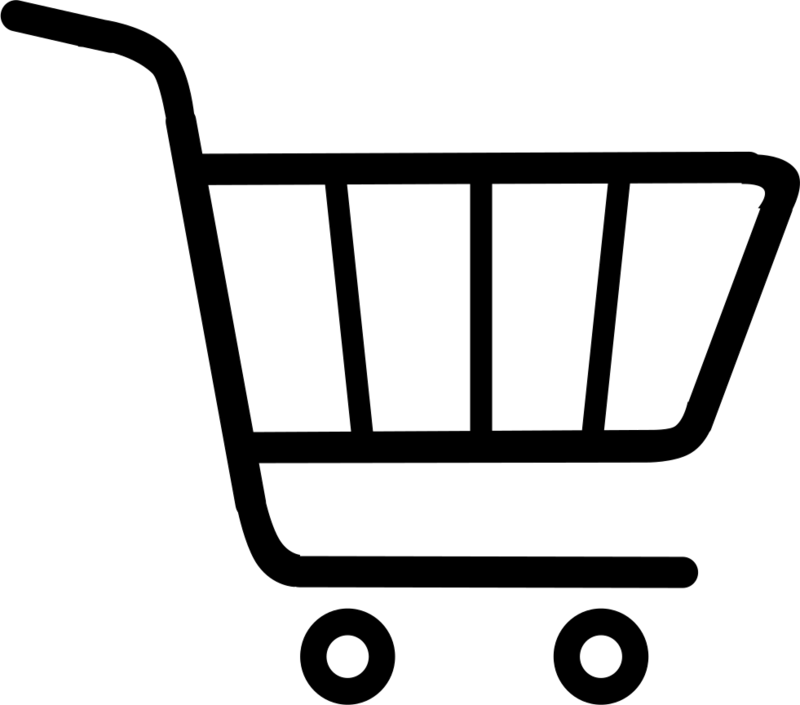 Ordering online is simple and straightforward and we will deliver promptly.